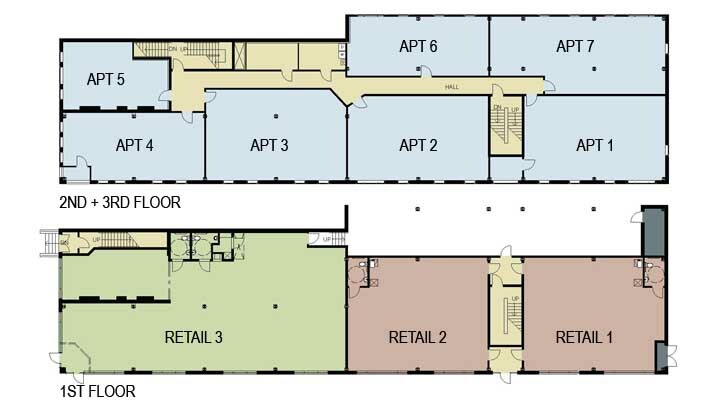 A 3-story 24,000 SF mixed use building is planned as part of the effort to revitalize the once thriving neighborhood commercial corridor. The proposal consists of a blend of renovated historic structure and new structure. 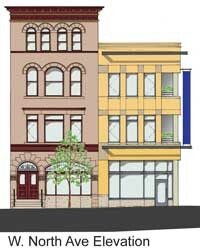 The facade was designed to continue the texture of existing 100+ year old neighboring buildings in modern context. 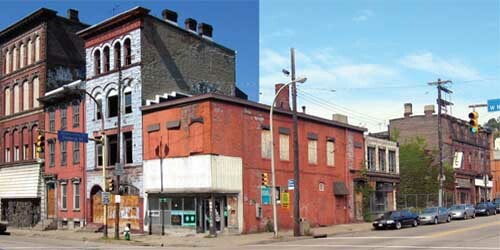 Although commissioned by a private developer, community involvement was vital in determining the use and design of the building at the neighborhood key corner.